A Sense of Place is a ​travel show that meets destinations through the eyes of vacation rental properties and their most incredible hosts. Follow Facebook​ or YouTube for updates. ​6 months ago, I set off on a journey to learn more about this new and emerging world of vacation rentals -- this fresh style of hospitality that's disrupting hotels and surprising travelers in a fun, and inspired sort of way. 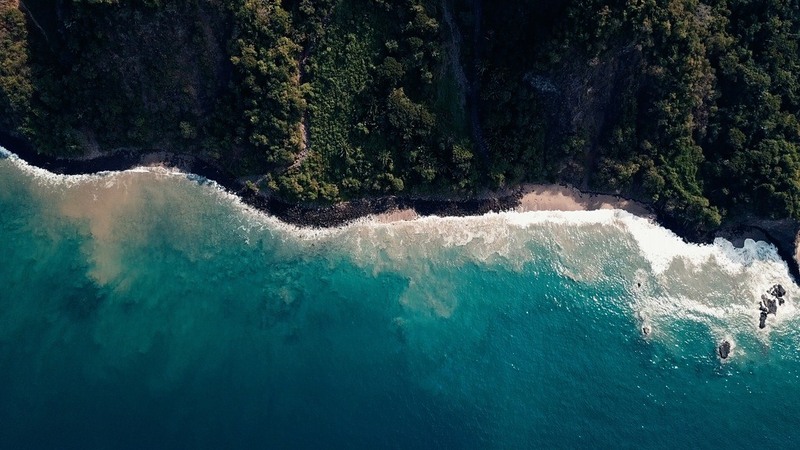 Vacation rentals have risen in popularity thanks to a perfect storm of events: all these properties were sitting empty at the same time that travelers were feeling the urge to explore more authentically, and there was technology as the bridge that made it all connected. This is GREAT news for travelers: what used to be a cottage industry is now growing up into a real alternative to hotels. What used to be reserved for the elite is now no accessible to the average Joe. And this alignment of stars hasn't come without obstacles by any means: but through my travels I’ve sensed that vacation rentals have this X factor…this superpower that until recently I haven’t been able to put a finger on. The last stop on my line was ​Hacienda Antigua, an unsuspecting beach town in rural ​Mexico. A place off the beaten path even by my standards. Where horses are the fastest vehicles in town and secret beaches roll for miles. It was here experiencing hospitality in its simplest form, that I’d finally settle on what that X factor might be. 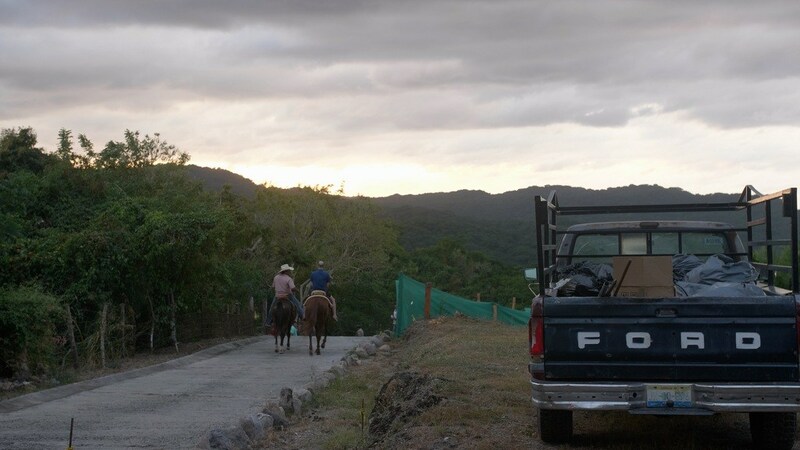 ​Getting to Hacienda Antigua is a journey in itself. To get there, you fly into Puerto Vallarta and drive about 60 minutes along a winding country road complete with meandering cows and fallen jungle tree limbs. 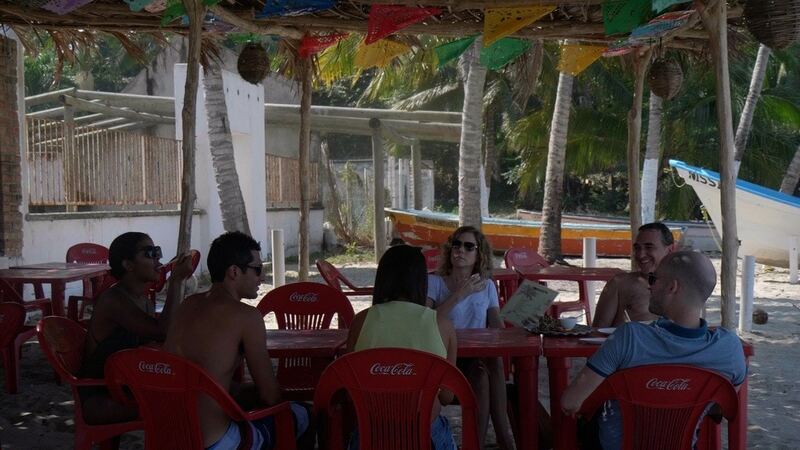 You pass Sayulita, which only ten years ago was a sleepy beach town and now just bursts at the seams with neon mescal bars, dusty golf carts, and a rustic beach town hustle. After Sayulita on the highway, you pass San Pancho, kinda like Sayulita’s adolescent younger sister with less noise, but a pending growth spurt in her DNA. This is where most tourism stops. But continue 10 minutes past San Pancho and you reach Lo de Marcos: Lo de Marcos is like third child born into a family of Mexican rockstars: you don’t know exactly what it’s going to become but there will. Be. Drama. 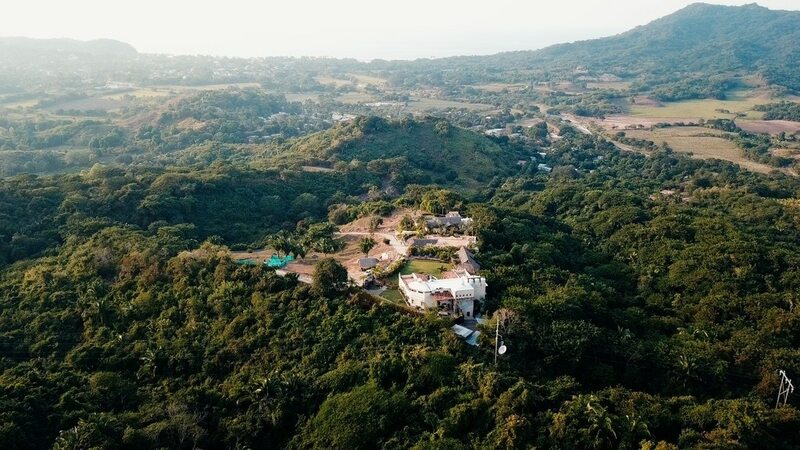 And as if being located in one of Nayarit’s most premature beach towns wasn’t enough, Hacienda Antigua isn’t even really located in Lo de Marcos: it’s perched up in the mountains in the adjacent town called Ursulo Galvan. ​I met my hosts, Frank and Kelley Sanchez at a gas station on the main highway because navigating up to their home was said to be complicated. And they were right: there are very few landmarks or even signs really this little village for a newcomer: there’s this sorta lazy town plaza, a few grazing horses and the occasional bike in the street. But it’s almost like the process of getting to Hacienda Antigua is like set-up for a magic trick: leading you down the garden path, and then turning on the hose. When you walk through the main door, you get the chills: it’s a 5-bedroom villa that is laid out like a small, very manicured town: almost everything is open to the elements — the rooms and pool configured around a view that takes your breath away. Being able to create this show has been the absolute opportunity of a lifetime for me. Never in my wildest dreams could I have envisioned myself alongside a prestigious film crew, having the privilidge to meet courageous small business owners and learn what makes them so successful — see first hand what gets them through hard times. But in my travels, I’ve also been reminded that underestimating myself is actually kind of the essence of the vacation rental movement in a way: people with no previous experience changing the way the world travels just by following their instincts, working hard, and surround themselves with the right support. Each destination and host has multiple layers to its success. 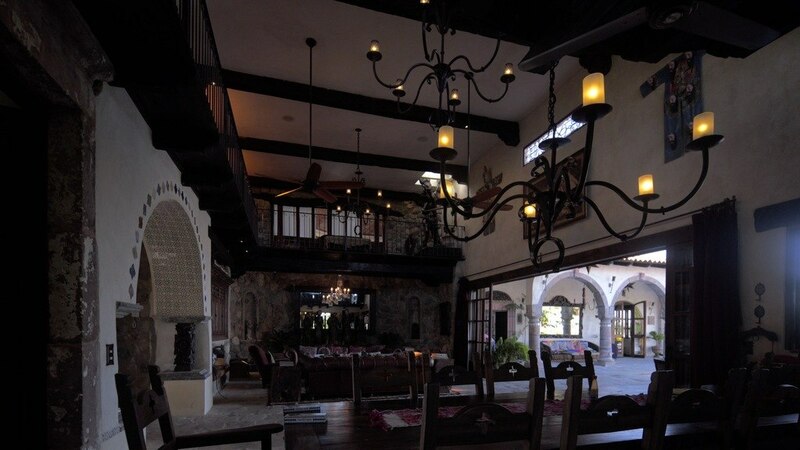 So we decided to pull back the curtain and share commentary on the people, places, and best industry practices that made Hacienda Antigua so unique. The following series of videos are designed to help better understand ​Frank and Kelly's secrets to success. Watch each short clip and think about how it might apply to your vacation rental business. For a small business, finding the right employees can be a long and arduous process. Unfortunately, there's no silver bullet or magic pill to the process: as Frank and Kelly have found, weeding out those who don't seem to "get it" and doubling down on the employees that do -- this is the slow yet steady way to build a strong vacation rental team. Providing prepared meals at a vacation rental is not so common, due to the prohibitively high costs. But what Frank and Kelly discovered is that Hacienda Antigua has many of the same characteristics as a B&B: and that utilizing the on-site staff for small things like breakfast can make a huge impact on guests. Finding the right partners for a vacation rental venture can be challenging. And we've heard horror stories about choosing the wrong people. But Frank and Kelly seem to have lucked out with their partners Cassie and Mike: they all have their own strengths and above all else, seem to be proactive in getting stuff done. If you don't live in the same destination as your vacation rental, locals you can trust are worth their weight in gold. Even better when they're in the tourism business. Frank and Kelly were fortunate to meet Oliver of Xplore, a local adventure tour agency. A point person like Oliver, who meets guests upon arrival and facilitates activities during their stay, can lighten the managerial workload while enhancing the overall guest experience. Almost out of necessity, Frank and Kelly began to offer in-house services such as private chef, masseuse, and yoga: simply because those services were not available in town. But now that the local region has grown, these in-house services have improved. A vacation rental that offers in-house options lends an air of luxury, convenience, and distinction. Small touches like boutique soap and shampoo do indeed have a cost. But they also give a sheen of thoughtfulness to your vacation rental experience. They are the small touches that most other proprietors are not willing to do. And if you keep your eyes out for something local, and build the cost into your nightly rate, everybody wins. Running a vacation rental business can be frustrating, especially when it comes to sheets and towels: Frank and Kelly were faced with the challenge of women removing their makeup and staining luxury towels. So the two are considering one of those black "Makeup Remover" towels.